Going places? We can help you stay healthy while you are on the road. Book an appointment with one of our pharmacists and they will administer your vaccines for where ever you are headed. We are not a ‘Travel Clinic’ but we can administer travel vaccines as prescribed by your physician. Our Travel Vaccine professional fee is $20.00 per injection. Our pharmacist will review your health information to ensure you are up-to-date with any required immunizations. Your Winchester Pharmasave pharmacist will administer vaccines as prescribed by your physician. Travel vaccines are NOT covered by OHIP. However, many private insurance plans will cover the cost of travel immunizations. Our Travel Vaccine professional fee is $20.00 per injection. Before traveling, be aware of required and recommended vaccinations and immunizations based on information of risky diseases that travelers may be exposed to while abroad. Immunizations are among the most important and effective ways to prevent travel-related infections. The Canadian government maintains a website with current information for travelers at travelhealth.gc.ca, and the US government has an excellent travel health site at cdc.gov/travel. For Canadians who travel abroad, there is a small but very real risk of requiring emergency medical treatment in a foreign country. Very few travelers die of serious illness; infectious diseases account for 1% of travel-related deaths, whereas almost 50% are due to motor vehicle accidents or drowning. The most common illness to strike Canadian tourists in developing countries is travelers’ diarrhea (TD). This is also known as Montezuma’s revenge, Turista in Mexico, or Delhi Belly in India. It is an acute diarrheal illness that usually lasts two or three days. It can be caused by any of a number of bacteria (and, less often, parasites), which are usually different from home-based varieties and therefore pose a temporary challenge to the immune system. There is no vaccination against all organisms that can cause travelers’ diarrhea. There is an oral vaccine against cholera and a specific strain of E. coli bacteria that is sometimes recommended. TD can often be prevented or self-treated with medications. It is very important to check with a health care professional or travel clinic before traveling in order to obtain a advice and medication for self-treatment. Diseases like Measles, Mumps, German Geasles (rubella), Tetanus, Polio, Pertussis (whooping cough), Diphtheria, Haemophilus influenzae type b (Hib), and Chickenpox are all also preventable by vaccine and can occur in developing countries and in Canada. However, while abroad, Canadians rarely acquire these diseases because we are immunized against them by routine childhood vaccinations (or, in the case of Chickenpox, we had the disease already, which provides immunity against future infection). The chance of being exposed to infections abroad depends entirely on the style, location, and duration of travel. A 2-week stay in a downtown 5-star hotel is much less likely to result in disease than a 6-month backpacking trip through the countryside. The one activity that will enormously increase the risk of acquiring a serious disease is unprotected sexual contact with a new partner, which brings a high risk of Hepatitis B and HIV (AIDS), as well as other sexually transmitted infections (e.g., Chlamydia, Gonorrhea, Genital Herpes). Globally, the infectious diseases that kill the most people, particularly those living in developing countries, are respiratory diseases (including Influenza and Pneumonia), AIDS, infections causing diarrhea, tuberculosis, malaria, and measles. Hepatitis infrequently kills during its acute phase, but chronic liver problems caused by this disease are another major cause of death worldwide. Vaccinations are available against hepatitis A and B. Hepatitis A and B are viral infections that attack the liver. The vaccines can be given separately or as one combined vaccine. Depending on the vaccine given, the vaccine may last a lifetime or may need a booster shot in 10 to 15 years. Canadians should have already been vaccinated against measles, mumps, rubella, diphtheria, tetanus, Haemophilus influenzae type b (Hib), pertussis, and polio as part of their routine immunization schedule. 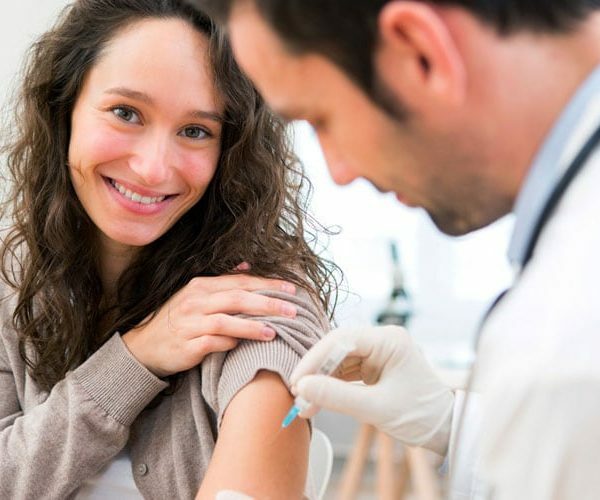 A booster shot may be required for some of these, especially the diphtheria-tetanus (DT) shot (one DT shot covers both diseases), since it provides protection for 10 years. Talk to your doctor or travel clinic to see if you’ll need a booster shot. Flu viruses and flu vaccines vary in different parts of the world, and change every year, but the Canadian vaccine is usually a fairly typical one, and will offer a lot of protection against catching flu on most airline routes. Airplanes are extremely infectious places for respiratory diseases because, to a variable extent, the same air is continually recirculated. 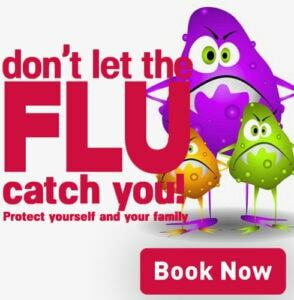 The flu vaccine needs to be injected every year, in the late autumn, to get full protection. Influenza is transmitted during the cold seasons in both the northern and southern hemispheres, and year-round at the equator. Typhoid vaccine is likely to be needed by travelers to any country with under-developed water treatment systems and sanitation, particularly when travel is off tourist routes or involves budget accommodations. Those at highest risk are new Canadians returning to their homeland to visit friends and relatives. Typhoid vaccine lasts 3 to 4 years. Yellow fever vaccine, which lasts 10 years, is recommended when traveling to large areas of Africa and South America. In addition, according to the World Health Organization, it is one of the only vaccines required by health officials to cross international borders of certain countries. Many countries in Central Africa and South America require yellow fever vaccination certificates for any entry, and other countries demand them from people who have been in yellow fever zones. Yellow fever has a high mortality rate among those who acquire the infection. Meningococcal (bacterial) meningitis vaccine is recommended for sub-Saharan Africa. This very dangerous disease is contagious (it is passed between people by cough or sneeze). Normally, one doesn’t need to be vaccinated if staying in a good hotel, but one might consider it if planning on living more closely among the local population in sub-Saharan Africa (especially during the dry season [winter]). Those going to the Hajj in Saudia Arabia require the vaccine for entry. Travelers should talk with a travel health professional to determine their individual risk. Japanese encephalitis, like malaria and yellow fever, is transmitted by a mosquito bite – in this case, by an evening-biting mosquito found only in rural areas of South and Southeast Asia. This virus causes symptoms similar to meningitis and is sometimes fatal or leaves victims with severe neurological effects. It is widespread in East Asia, especially around late summer, and vaccination against it is recommended for anyone planning to spend more than a month in affected areas. Contact a travel health clinic to determine your specific needs. The vaccine is protective for 2 to 3 years. European tick-borne encephalitis is caused by a virus carried by ticks and has symptoms that are similar to the Japanese version, but often more severe. Russia and the rest of the former Soviet Union is the homeland of this disease, but it can be found in other parts of Europe in the summer months. One should be vaccinated if planning a long stay during summer months. Measures to prevent tick bites will also help to reduce the risk of this serious viral disease. Contact a travel health clinic to determine your specific needs. Rabies is a uniformly fatal disease of the brain and central nervous system transmitted mostly by animal bites (particularly dog bites) throughout the world, including North America. There is a safe and very effective rabies vaccine that can be used to prevent rabies. Even with the vaccine, 2 additional doses are required in the event of an animal bite, whether provoked or not. Without the preventative vaccine, in the event of a potential exposure, 5 doses of vaccine and one of rabies immune globulin will be required. Unfortunately, rabies immune globulin is often not available in the developing world, putting the exposed person at serious risk. The vaccine is recommended for long-stay travelers, especially children who often relate to small animals with affection and engage them in activity. E. coli vaccine, an oral (taken by mouth) immunization that is also effective against cholera, provides protection for three months against the ETEC strain of E. coli, the most frequent cause of travelers’ diarrhea. However, since E. coli is responsible for less than half of the cases of travelers’ diarrhea, carrying an antibiotic regimen for self-treatment of travelers’ diarrhea and observing preventative measures against travelers’ diarrhea is still important. Malaria prevention requires a combination of antimalarial pills and personal protection measures against insect bites. Unfortunately, we do not yet have a malaria vaccine, but there are several antimalarial medications recommended for the prevention of malaria. Depending on the medication, malaria prophylactic medications should be taken for several weeks or even the day before exposure, during the travel period, and for 1 to 4 weeks after returning home. Since no antimalarial pill is 100% effective, measures must be taken to prevent infection from the night-biting mosquito that transmits malaria. Using DEET-containing insect repellents, permethrin-impregnated bed nets, and air-conditioned or screened accommodation, and wearing trousers and long-sleeved shirts after dark will reduce the risk of this potentially fatal infection. Travelers should visit their doctor or a travel clinic at least 2 months before departure. This will give time for the travel vaccines to take effect. All travel clinics have up-to-date information on which shots are required and recommended for various destinations as well as information on the most up-to-date medications used to prevent malaria. Make sure to tell your health care professional about any pre-existing medical conditions or the possibility of pregnancy at the time of the visit or during travel. If you fall ill in the year after returning home from travels, particularly within the first 2 months, it is important that you tell your doctor that you have been abroad. Canadian family doctors are accustomed to looking for diseases common in Canada. They are very unlikely to test you for malaria, for example, unless they know that you have been in a malarial zone. If you have been in very underdeveloped areas for a long time, you should also consider getting screened for tuberculosis even if you have no symptoms. If this disease is caught early during the latent phase, treatment is likely to be easier.